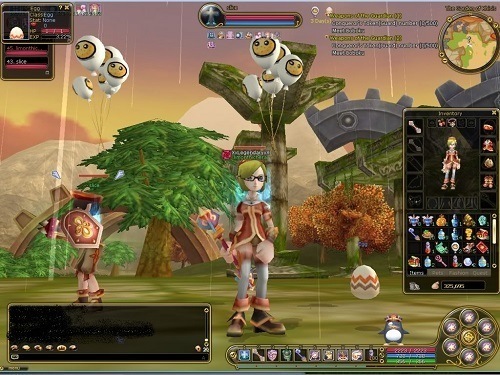 Flyff (Fly For Fun) is one of the longest running fantasy based MMOs, originally launching in 2005. As the name suggests a unique selling point of the game is the flying system that makes flying your key transportation method to make the large game world accessible for exploration. Flyff is a charming experience and given the length of time that the game has been online there is also a wealth of content to enjoy in terms of quests, features and game locations. 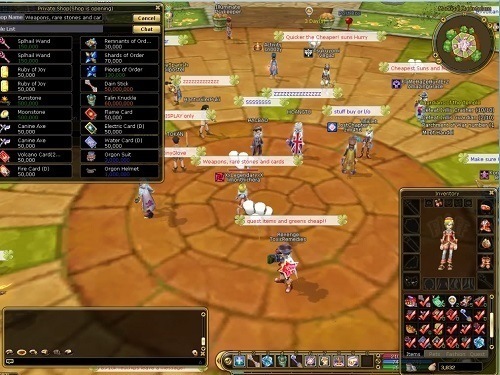 Flyff is also a highly social game with a number of these features helping players to connect with others through guilds, parties, marriages and even a pupil system. Starting as a Vagrant you’ll get to learn the basics of this high quality MMO by accepting tutorial like quests that quickly let you pass these early stages. Level 15 is where you’ll get your first taste of new skills where players have four core classes to choose from, the Acrobat, Magician, Assist and Mercenary. The Acrobat that utilises bows and yo-yos in combat with skills focusing on stealth and stuns. The Magician who fills the magical role in Flyff with an impressive array of damaging spells that comes at the cost of defences. The Assist who exists to support the other characters in combat through various buffs but also is a capable solo fighter with their martial art skills. Lastly you have the Mercenary who is the warrior class in the Flyff universe and perfectly suited to your first Flyff adventure. Flyff also includes second and third job advancements which will further let you refine your skills towards a particular play style. To reach these higher levels of gameplay though you’ll need to complete quests, defeat monsters, gain equipment and more as you would in a traditional MMO. Other features packed into the Flyff experience include regular events, a unique collector system used to gather items, private shops for your wares to other players, pets, monster elements and flying. Long running high quality MMO. Great equipment system lets you create a setup that works for your combat style. Connect with other players in party, guilds, marriage and mentor relationships. 4 classes with their own unique skills and play style. Regular events, pets and flying!